Colors make the world go round. In Color Pin, the world goes round for colors! What do we mean by that? Color Pin is a hybrid of color games and pin games where you must insert every colored pin to their right palettes. You’ll be faced with a sphere that is patterned with different colors each level. What you need to do is to click onto the sphere the matching color of the pin. Pin it with the wrong color and the game is over. Pin it right over an existing pin and the game is also over. You have to fill the gaps with the correct colored pins. Sounds easy but once you start the game, you’ll have to sharpen up your awareness and reflexes because this unblocked game will test you on those! It’s Color Matching with Pins! If the name of the game isn’t a dead giveaway for you, this is how Color Pin works: It’s a hybrid of color games and pin games rolled into one: you have a set of color pins (usually 10) and you have to shoot them onto the corresponding colors of the sphere. If you mismatch, the game is over. If you hit an existing pin, it’s also game over. Make sure you strategize and adapt to the situation! Sure, call this a casual game but it’s a casual game that is going to test your awareness and reflexes. If you’re too slow, you’ll end up mismatching the pins on the wrong color and you’ll have start right down to Level 1. If you aren’t paying attention to the color of the pin, you’ll also be in the gutter if you toss the wrong one. It’s all part of a mind trick in Color Pin; on one level, you’ll have 3 alternating colors where pins 10 to 7 are red, 6 to 4 are blue and 3 to 1 are yellow. On the other hand, you’ll face a level where the sphere pattern is black, yellow, blue, yellow, and black respectively while the pins are all jumbled. There are no time penalties here. What the game only requires you to do is to make sure each pin you shoot matches the color on the sphere and you don’t hit the others that are already in place. Just take your time and breathe. There are over 12 stages in the game but going to all 12 of them aren’t going to be easy. You’ll have to familiarize yourself with each stage before you can actually beat the game on the hardest last stage. If you happen to make a mistake, you’ll have to go back to square one and repeat everything all over again until you come back. There are no save progressions here nor are there any sort of power-ups. It’s just you, your prowess and skills. Like this game? 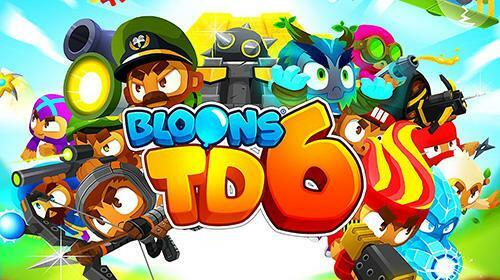 We have more unblocked games for you like Tap and Go and Bubble Shooter Classic HD for PC and Mac now!